Now that the manufacturing sector has entered an age of rapid technological growth, the industry’s systems and processes continue to transform. It is this transformation and the development of advanced technologies that are driving forces in giving customers a handle on how their products will look and perform. Described by consulting company PwC’s Strategy& as a Renaissance, this undeniable growth is leading the way into the future of manufacturing. Advancements over the past five years in both product design processes and manufacturing in general have paved the way for companies to become more capable. Allowing for customisation of parts and products, and enabling these parts to be ordered in small or large runs straight from the manufacturer. Technology today enables the information returned by the IoT (Internet of Things) to design their products around the feedback received from models already used in any given field. Bringing together internet connectivity, sensor technology, cloud computing, and other hardware, software and data analysis systems means that the IoT can offer up-to-the-minute information on product performance. These products capture vital information about operation and surrounding environments, then feeds it back to manufacturer for analysis, yielding information such as maintenance requirements and schedules, and ideal operating environments for that specific model. Furthermore, as technology moves forward into Industry 4.0, automation and data exchange will be pivotal in manufacturing technologies. This will involve the introduction of cyber-physical systems, the IoT and cloud computing within manufacturing processes. Industry 4.0 allows products and manufacturing systems to produce valuable technical documentation that enables the rapid execution of cyber decisions. But it’s advancement in the world of additive manufacturing that truly empowers manufacturers by allowing designers to surpass the limits of creativity set by conventional methods of prototyping, and giving customers an ongoing say in both product design and performance. Additive manufacturing is changing the way we prototype by introducing thousands of colour variations, a multitude of material variations and by allowing for physical designs to be tested and verified. Ultimately enabling design changes on the fly through faster iteration times and significantly improved time-to-market. Whether it’s a small, thin-walled part, a part with complex geometries, or a large, durable prototype, companies can have either a single part or set of parts made quickly and up to standard using additive manufacturing at a much lower cost than conventional manufacturing methods. Due to its adaptable nature, 3D printing can take form in any shape. Intricate, complex geometries or curved surfaces that cannot be built using traditional means of prototyping, such as moulding or machining, are able to be made using Stratasys 3D printing technology. It is this capability that drives the competition between companies, increasing industry profitability in the long run. When not only the company, but also its customers are able to have an input into the final product outcome, so how it will look, act, and perform, its profile and profits are set for future growth. Furthermore, parts that are 3D printed have the advanced properties to be used as part of large and complex assemblies, which industry-wide must attain the pinnacle of safety. 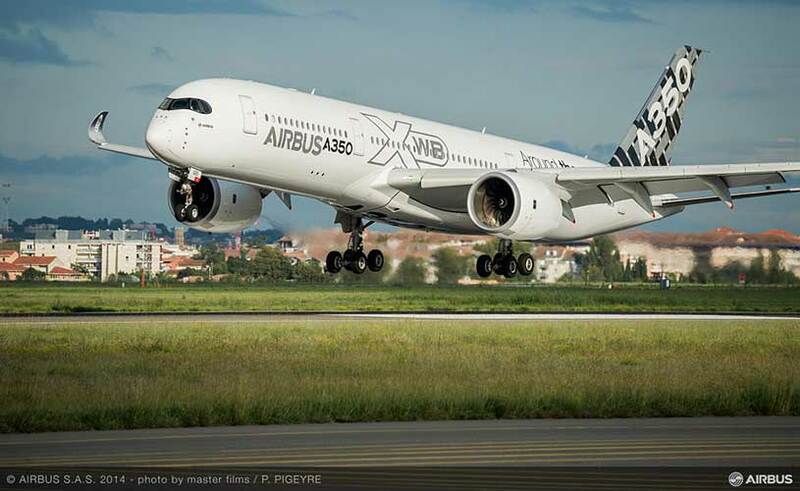 Airbus for instance, has recently implemented Stratasys additive manufacturing technology into the manufacturing of the Airbus A350 XWB model knowing 3D printing could cut costs and part-production time, whilst still producing strong and lightweight parts to meet stringent aircraft safety specifications. 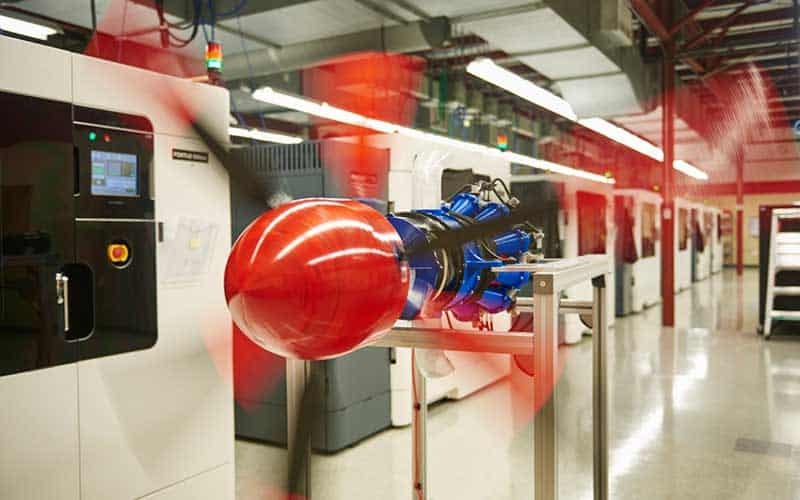 Since it’s installation in December 2014, Stratasys printers have already made over 1,000 aircraft parts for that specific model. 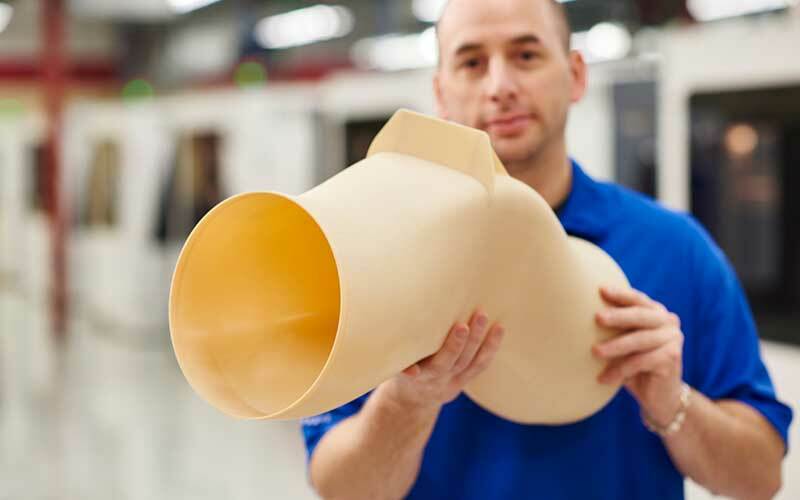 Using Stratasys’ ULTEM™ 9085 resin, Airbus is able to produce parts that are certified to stringent material specifications. With high strength-to-weight ratio and flame, smoke and toxicity retardant properties for aircraft carrier parts, this material is ideal for the fast production of Airbus-compliant components. And because they are printed rather than machined and manufactured, production time is greatly reduced. Parts that are made using Stratasys 3D printers weigh 30-55% less than parts manufactured using conventional methods. Additionally, raw material use is reduced by 90%, and using this additive manufacturing technology has the ability to cut energy used in the production process by up to 90%, says Peter Sander of Airbus’s Innovation Cell. Airbus’s implementation of 3D printing within production has enabled them to reduce the total weight on each aircraft by up to one tonne, and by 2018 Airbus expects to print about 30 tons of metal parts every month. Similarly produced parts are also integrated within in-service jetliners such as the A300/A310 family. Recognising that 3D printing these parts delivers consistently precise results, the airline industry as a whole is making this move towards introducing the technology into aircraft manufacturing processes.